When the Mystery Writers of America bestowed a Special Edgar Award on Donald J. Sobol’s Encyclopedia Brown series, its reputation as a classic of children’s literature was assured. This fun read finds 10-year-old Leroy Brown (known to the people of his town as Encyclopedia Brown) honing his impressive detective skills. 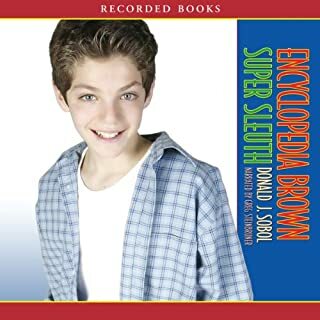 Children’s classics for decades, Donald J. Sobol’s Encyclopedia Brown stories have garnered a Young Readers’ Choice Award and a Special Edgar Award. In this installment, the 10-year-old detective’s probing questions continue to trip up thieves, frauds, and other scoundrels—from a headless haunter to a slimy slanderer. Kids will love trying to crack each of these 10 cases before the pint-sized super sleuth reveals his solution. 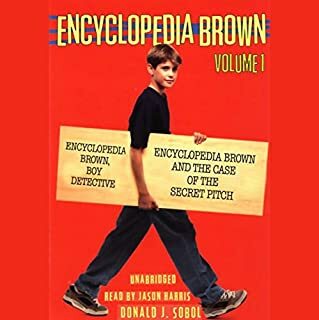 Children’s classics for decades, Donald J. Sobol’s Encyclopedia Brown stories have garnered a Young Readers’ Choice Award and a Special Edgar Award. In this installment, the 10-year-old detective’s probing questions continue to trip up thieves, frauds, and others scoundrels—from a watch-scamming bully to a wigged-out FBI’s most wanted. In this volume, Encyclopedia tackles 10 more puzzling cases in his small hometown of Idaville. From petty thieves to moneygrubbing charlatans, Encyclopedia foils all of their dastardly plots using his quick wits and super smarts. Encyclopedia’s adventures are fun and they teach valuable lessons about determination, observation, and problem-solving. 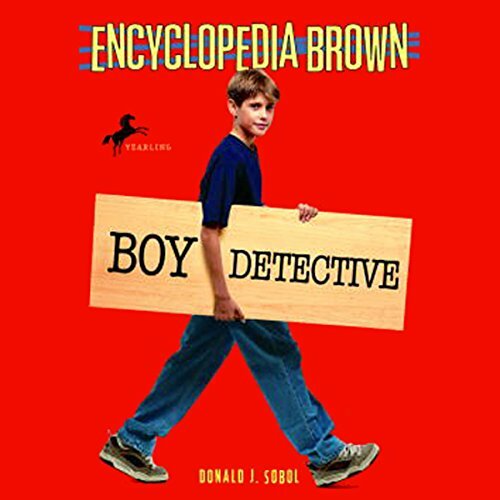 The adventures of Donald J. Sobol’s amateur detective Encyclopedia Brown have been delighting puzzle and mystery lovers for over four decades - earning a special Edgar Award in the process. Here are 10 more devilishly clever noggin scratchers for young listeners to try and solve. 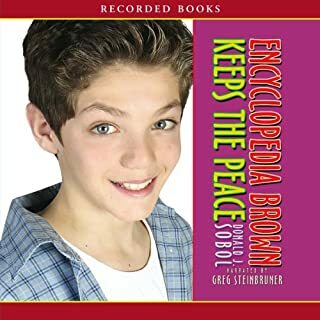 Join Leroy “Encyclopedia” Brown as he keeps the streets of tiny Idaville free from petty crooks, ruffians, and altogether no-goodniks - all for 25 cents a day, plus expenses. 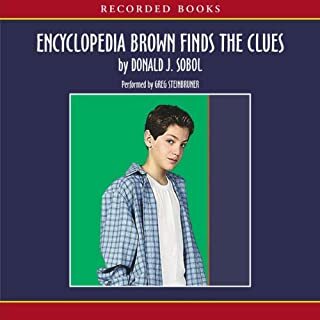 For decades, Donald J. Sobol’s kid detective Encyclopedia Brown has thrilled amateur sleuths of all ages with his uncanny knack for solving the most difficult mysteries. Sobol was even honored with a special Edgar Award for this timeless series. Ten-year-old Encyclopedia, the son of Idaville’s police chief, investigates all sorts of curious cases for kids around the neighborhood—all for 25 cents a day, plus expenses. Donald J. Sobol’s pint-sized amateur detective has been a hit with young readers for over three decades. 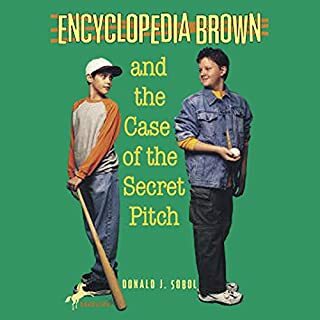 For 25 cents a day—plus expenses—Encyclopedia Brown will solve any case, big or small for the kids in his neighborhood. He also secretly works with his police chief father to crack the toughest investigations and keep the streets of Idaville safe. Here are 10 more beguiling mysteries that will have listeners scratching their heads. ©2008 Donald J. Sobol (P)2008 Random House, Inc.
My 10 & 12 year old girls still love these books. When we're crafting or working with our hands, we play audiobooks. They love thinking through the storyline to hypothesize on the solution. Great vocal talent, too. The chapters/mysteries are brief enough to keep their attention, while the collection serves as a fun mental exercise at a good pace. EB stands the test of time! For the sake of the students who are studying English, I hope all the series would be published. HOW CAN THIS BE SO AWESOME !!!!!!!!!! my son loves these stories. he will bring a chair around and sit directly in front of the speakers to listen. My son was having a hard time getting excited about reading chapter books. I got this audio book and had him read along in the printed copy. He read straight through and loved it! 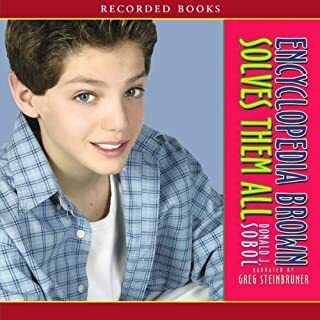 Encyclopedia Brown was always one of my favorites when I was young. It's great to see how timeless and inspiring these books are for young readers. Everyone loves a good mystery!